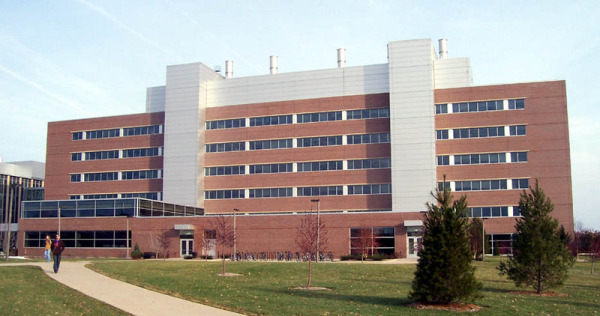 In addition to the $46.1 million awarded by the NIH, the NSF gave Michigan State University $62.1 million in 2012. The projects awarded research funding span a number of science research disciplines. Of the bio projects, the programs of study range from plant genome research, biological infrastructure, environmental biology, cellular dynamics and function, macrosystem biology, systems and synthetic biology, neural systems clusters, systematics and biodiversity science, evolutionary science clusters, global systems science, genetic mechanisms and molecular biophysics. Below is a list of the top five NSF-funded bio research projects. From the statistics above, it’s evident that missing out on getting to know the Michigan State University science research market means missing out on a wealth of research funding. Biotechnology Calendar, Inc. encourages all biotechnology vendors and lab suppliers to network with science researchers in this well-funded market at our next East Lansing BioResearch Product Faire Front Line Event on July 17, 2013. Last year, our East Lansing BioResearch Product Faire Front Line Event attracted 295 attendees. Of those who visited the event, 39 were purchasing agents, professors and post docs, and 41 were lab managers. The trade show attendees came from 32 different research buildings and 33 departments across campus. Biotechnology Calendar, Inc. is a full-service science research marketing and event-planning company. At top research universities across the country, we organize events and trade shows visited by hundreds of researchers, lab managers and purchasing agents. Research scientists spend time at our events because we provide a place where they can talk about their latest research projects and discover new products and services while enjoying a free, catered lunch. The ease with which they can take the short walk from the classroom or lab to our on-campus trade shows makes attending our shows all the more convenient. Exhibitors love our trade shows because we provide an attractive space where they can easily and economically meet with regional markets of buyers of biotechnology products and lab supplies. The universities at which we run our trade shows are also richly funded. Biotechnology Calendar, Inc.’s professional services and friendly atmosphere make it easy to market your company’s greatest supplies and technologies. Within the space of a few short hours, exhibitors are able to have in-depth product- and research-oriented conversations with hundreds of science researchers. For more information on our East Lansing BioResearch Product Faire Front Line Event, or to view more funding statistics for Michigan State University, click on the button below. If you’d like to look into attending a trade show closer to home, we encourage you to check out our 2013 calendar of events.